Fortunately, the spring season (and a new football season) are right around the proverbial “corner”—and with the warmer weather comes some excellent opportunities to give your home and your HVAC system a tune-up. In this blog, the Chicago HVAC team at Aircor will give you a step by step checklist for improving your HVAC system, your indoor air quality, and the health and wellness of your family. The earlier to get moving on the these tips, the better air quality you’ll have and the more money you’ll save on your energy bill! Dust and mop all over your home. Dust is essentially a Heinz ‘57 of all of the pet dander, chemical residue, fireplace ash, dead skin flakes (that’s right, your dead skin flakes), clothing lint, dirt, and a bunch of other substances found within your home and the outside world. When all that stuff comes together and becomes a part of your home, it can cause allergies and respiratory problems—but it can make your HVAC unit sick, too. Dust buildup in your filters, ducts, and HVAC unit can clog things up and make your HVAC system work harder than ever before to produce clean and perfectly warm or cool air—and that can raise your energy bill by up to 15 percent per year, according to the US Department of Energy (DOE). Plus, all that dust gets recirculated throughout your system and your home, which can lead to frequent sneezing at best and serious allergic reactions at worst. You’ll obviously need to get your HVAC unit inspected and cleaned (more on that later) but it’s also important for you to scrub, dust, and mop throughout your home to keep dust at a minimum. The more time you spend in your home during the winter, the more dust that will build up—so give things a thorough cleaning at least once per season, and call your HVAC professionals once per season as well. Your filters are meant to trap dust throughout your home, but they can only last so long and do so much to keep dust at bay, especially if you haven’t replaced them in months or *gasp* years. At the least, you need to change your filters in your system every three months, but that’s pushing it for most folks, especially those with allergies. Filters are fairly inexpensive, so we’d recommend changing them once a month or every two months to ensure your air is as clean as possible. Not sure how to change your filters or what kind of filters to buy? That’s alright—you can always call the HVAC maintenance professionals to change out your filters and perform an air duct cleaning you so can breathe easy. Clear out the clutter in your home. Dust, dust, dust—we can’t stop talking about dust today, can we? Ultimately, it’s because dust is the supervillian when it comes to poor indoor air quality and poor health. 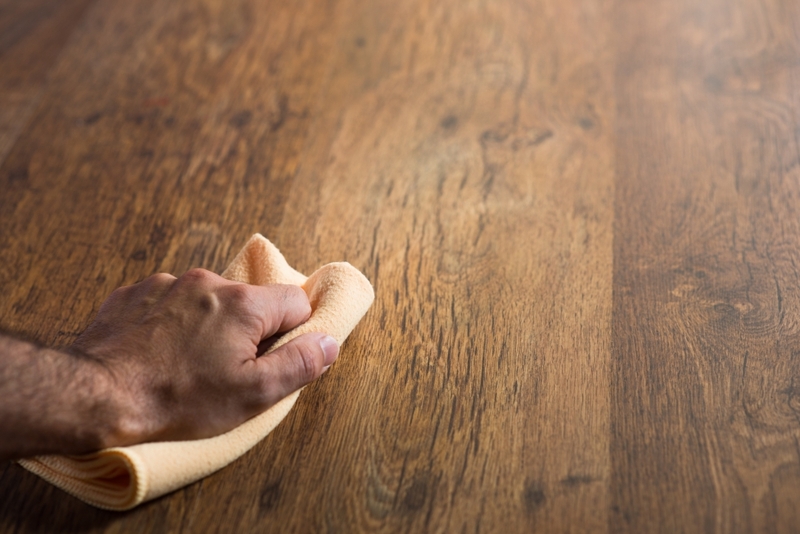 Dust can be hiding anywhere—but more often than not, it’s hiding behind your knick knacks, Star Wars collectibles, fratty top-of-the-kitchen-cabinet booze bottles, and other items that take up physical space. Dust loves to cling to clutter—so if you’re going to get rid of dust, you’ll need to get rid of some of the clutter as well. Once you’ve paired things down, give your remaining clutter a wipe-down to stop dust in its tracks, and be sure to wipe things down again and again every few months so keep your home virtually dust-free. Every season is HVAC season—that’s why you need an experienced HVAC maintenance and repair team to ensure that your system is working well regardless of the temperature or the weather. Fortunately, that’s where Aircor can help. As Chicago’s premier HVAC team, we can make sure your HVAC system is ready for the warm months ahead. Don’t wait—schedule an appointment with us today!